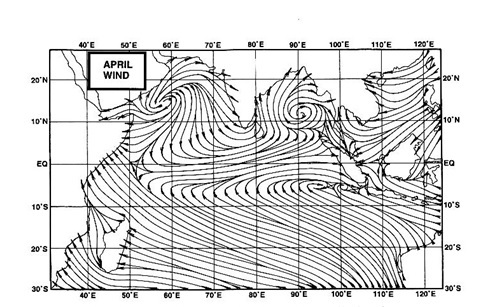 IMD has announced the formation of a low (Our BB1) in the Bay off Orissa/W.Bengal coast. As per NRL, it centre is located at 20.5N and 90.4E. With a initial core pressure of 1000 mb, BB1 its precipitation intensity is likely to intensify in the west and SW of the low. System itself will deepen a notch or two in the next 24-36 hrs. The system, i expect, will get embedded in the trough, now running along the Northern plains from Pakistan thru Punjab thru U.P. Initially, heavy rainfall is expected in Orissa and W.Bengal on Wed/Thurs. Later, Thurs/Fri, rainfall will be heavy in East Vidharbh, eastern M.P. and Jharkhand. The eastern end of the trough with the low, getting stronger, SWM will move into eastern Nepal and W.Bengal, Orissa next 2 days. I do not foresee BB1 going any further than eastern U.P. before merging with the trough. West coast trough is getting back into "shape" fast, and has organised itself, ready for heavy rainfall along coastal Karnataka and Konkan from Thursday. Vagaries map shows rainfall estimate for wed/thu/fri. Mumbai:Tuesday rainfall was 33 mms at Colaba and 24 mms at S'Cruz. Wednesday: Cloudy skies with passing showers of slightly longer duration than previous days. Rain amount 25-30 mms. Doubt if Lunar eclipse will be seen. Thursday: Overcast with frequent and short spaced rains towards evening. Rain amount 35-40 mms. Friday: Overcast. Oft- and -on heavy showers (not continuous) in regular intervals. afternoon showers accompanied with thunder.Rain amount 45-55 mms. (Rain amounts are mentioned as it helps judge the quantum of rain which can be expected. Suggested by a reader-says it helps in "knowing" how much rain to expect, specially when compared with 2 consecutive days). y are u predicting heavy rains for mumbai?? ?Is it because of the trough?? @ron. yes the trough is reorganising coupled with possibility of BB1 strengthening. Mentioned it earlier. And also the IR images are based on cloud temperatures. For rain clouds one can see "visible" images.show better clarifications of sridhar's doubt. and Ron..i think rains upto around 40 odd mms as mentioned by me,its an individual view, heavy or not ..
Is there any issue with Kalpana Satellite. IMD has reverted to INSAT 3A pics on its satellite link while pushing Kalpana pics to lower frame showing whole globe. My personal opinion is that around 100 mms of rains forecasted by Rajesh over a 3 day period should not be considered as 'heavy rainfall' especially for a city like Mumbai in the months of June, July and August. I would consider rainfall from 75 mms upwards per day as 'heavy rainfall'. I know IMD has a different nomenclature to what constitutes heavy rainfall but considering a city like Mumbai which recieves 100 inches in 4 months, you are bound to see many days with 30 - 35 mms of rains in a day. 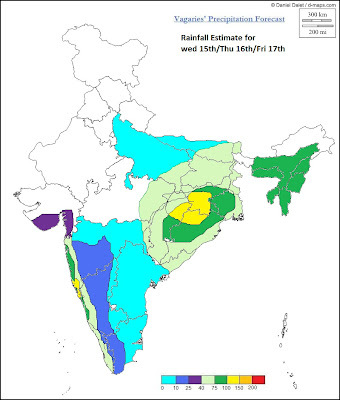 @NT.appreciate your views.I think you musy be expressing BB1 to move into central India by seeing the precipitation maps? Observation from GFS run is right, but remember, the clouding in this system is restricted to the southern half. Rajesh do you follow the the eclipse? more doubts rajesh :) sorry i am new to this and quite liking it..:) how do you manage to predict accurately even the amount of rains in mms. and the troughs you are talking about.. can it be seen on the map..?